A nebulizer is a machine that converts liquid medications into a fine mist that can more easily be inhaled into the lungs. Your medication is dropped or poured into a cup attached to the machine’s tubing. It’s mixed with water to make an aerosol mist, which you inhale through a mask or a mouthpiece. Depending on the nebulizer medication your doctor orders, your treatment may take up to 20 minutes. You may need more than one treatment per day. Nebulizers aren’t particularly portable; you generally take your treatments in your home. It’s important to recognize the difference between an inhaler and a nebulizer because they’re treated differently under Medicare rules. An inhaler is a portable device you can carry with you in your purse or pocket. It delivers a pre-measured dose of medication, usually called a “puff.” Treatment generally takes just a minute or two, and you can use your inhaler anywhere. Your doctor will help you decide which device is best for you and your treatment goals. Nebulizers are the machine that is used to create the medicated mist. They are considered durable medical equipment, or DME, under Medicare. 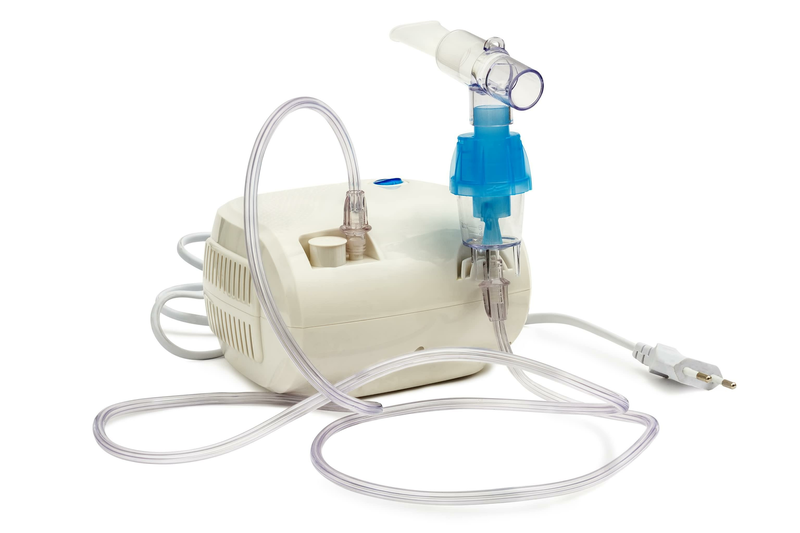 Depending on the supplier and the type of nebulizer machine, you may either rent or purchase the equipment. If both your prescribing doctor and your DME supplier are enrolled in Medicare, Part B covers 80% of allowable charges after you meet your Part B deductible. Under current Medicare rules, if you choose to rent your equipment, you only pay monthly rental fees for 13 months, after which time you own the equipment. After that, you only need to pay for maintenance, and replacement parts and supplies, and any necessary repairs. If you get these from a supplier who participates with Medicare, Part B covers 80% of allowable charges after your deductible. Medicare implemented a cost-control measure known as the Competitive Bidding Program in some parts of the country. 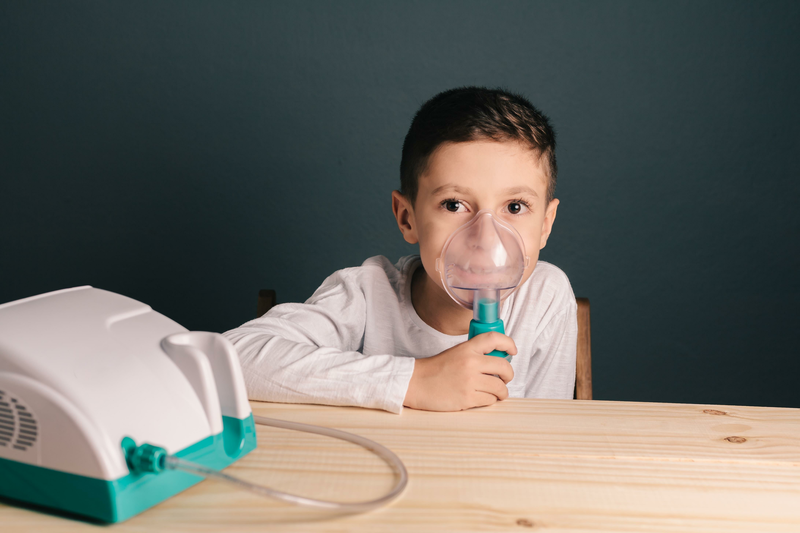 If you live in an area where competitive bidding applies, you can only use approved suppliers for your nebulizer machine. If you use another supplier, even if that supplier participates in Medicare, Part B may refuse to pay for nebulizer rental or purchase. Your doctor should advise you which suppliers are approved. Does Medicare cover Nebulizer Medications? Part B generally doesn’t cover prescription medications you take at home; these normally would fall under Part D. However, there is an exception for certain drugs used with a nebulizer machine. If your nebulizer medication is medically necessary and falls within the list of covered drugs, Part B will cover 80% of allowable charges. If you have a Medicare Advantage Plan, your nebulizer machine rental or purchase and nebulizer medications should also be covered, although your cost sharing may be different. You may pay a copayment instead of a percentage-based coinsurance amount. Be sure to consult your plan’s Summary of Benefits to determine what your cost-sharing will be. In many cases, your doctor may prescribe other outpatient medications to use along with your nebulizer medications to help control your symptoms or treat your condition. If you pick these up yourself at a retail pharmacy, these would be covered under Medicare Part D.
One last thing to remember: If you’re protected with a Medicare Supplement Plan or Medigap policy, it doesn’t cover any out-of-pocket expenses associated with prescription drugs, except those covered by Original Medicare. Medigap can cover your 20% coinsurance for nebulizer machine rental or purchase, and any covered nebulizer medications and supplies, but it won’t cover out-of-pocket Part D costs or other drugs or expenses excluded under Part A or Part B.